We are Receivables Insurance Brokers and Providers on the frontline of risk mitigation for businesses in Canada. 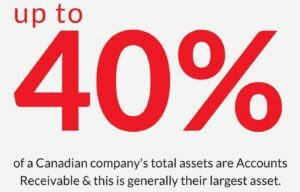 Our members help Canadian companies grow and succeed by providing them with tools to trade securely at home and abroad. 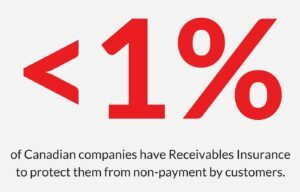 There are 1.1 Million Employer Businesses in Canada and most are not mitigating their risk with Receivables Insurance. Want a RIAC Member to Explain the Benefits of Receivables Insurance to Your Business Organization? Receivables insurance protects businesses from buyers that are unable to fulfill their invoice payment obligations due to insolvency, protracted default and political disruptions. For property and casualty brokers, receivables insurance provides an ongoing strategic service opportunity that is highly valued by CEOs, CFOs, Credit Managers and Enterprise Risk Managers. Much like mortgage insurance protects a bank in the event of foreclosure, a customer with receivables insurance does not place undue risk on its working capital loans with a bank. Receivables Insurance can fit into your portfolio of offerings to benefit your clients and your business. Let us show you how.